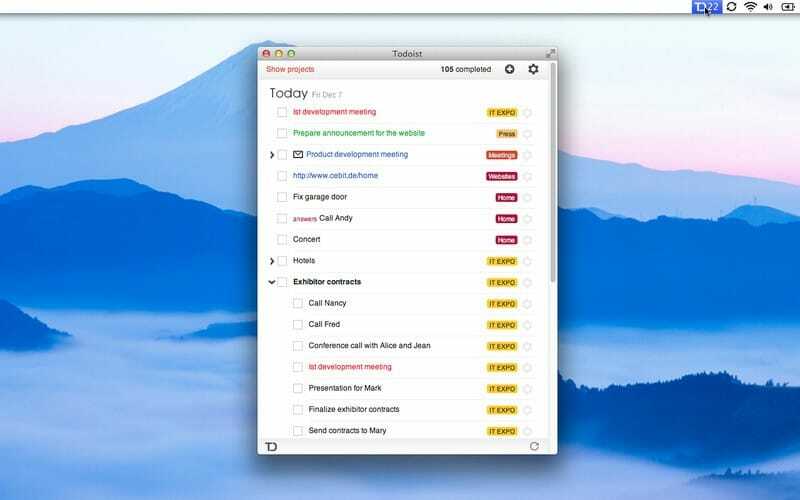 If you’re looking to become more productive in time for the holidays, then boy I’ve got some chrome extensions for you. An oldie but a goody. 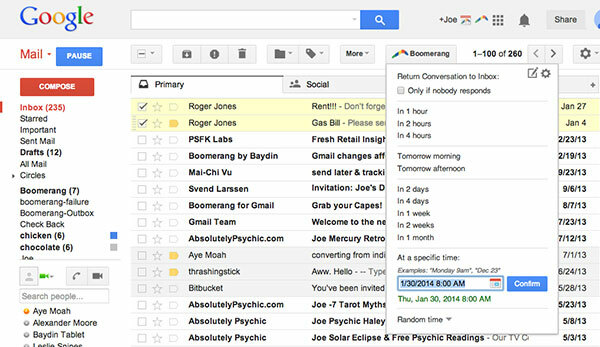 This was one of the first Gmail extensions that aimed to reduce the likelihood you’d forget about an email/task if the the person you were emailing didn’t respond. The extension’s basic function is to boomerang the email back to your inbox if the other party doesn’t reply to you within a specified period of time. It’s also favorable with the send later tool which will allow you to send out an email a strategic time, (like in the morning so it doesn’t seem like you’ve been up all night and slept in). It also gives an additional sense of security in sending out those emails that were a tough decision. It’s easy to procrastinate on those types of emails, so writing out your thoughts, sending it but delaying it to be sent for 12 or 24 hours can make it much easier to feel comfortable with the message. It’s like already having made a decision but with an instant ability to reverse it. 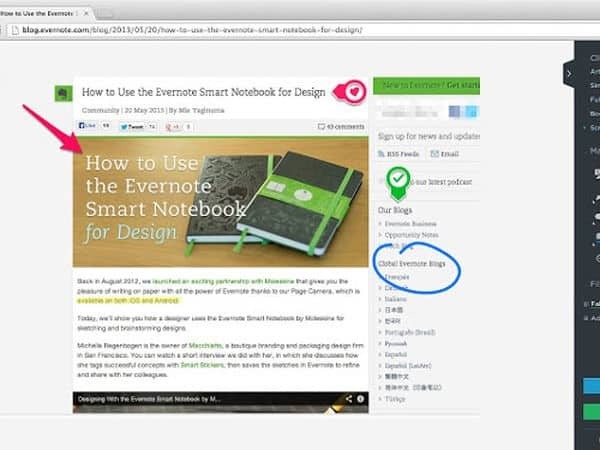 We’ve all heard of Evernote as a standalone app, but it also has a Chrome extension that allows you to collect and store online content for research and other work purposes. You can copy whole pieces of text or take a screenshot and annotate it to your heart’s galore. It also helps you keep your content organized - you can create folders and tag the content with relevant keywords that make it easy to locate later on. This is technically an app with a Chrome extension - essential, nonetheless. 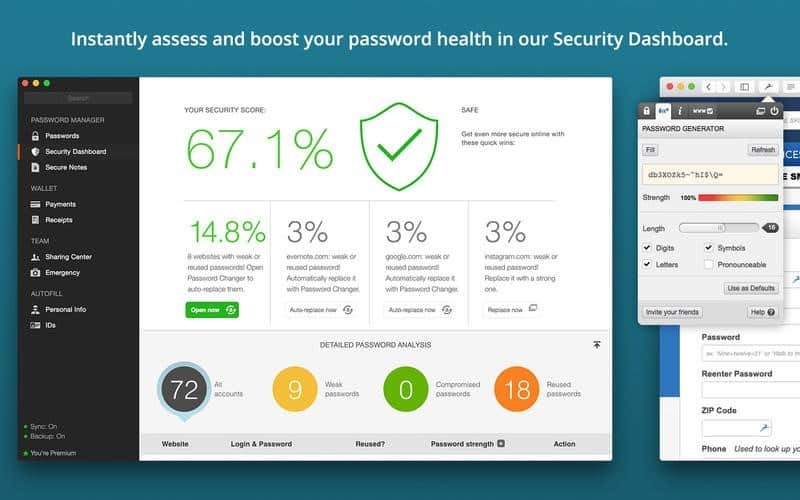 Dashlane is one of the easiest password management tools available today. Although LastPass started the craze, Dashlane took the tool a step further by creating one of the most intuitive interfaces for gathering and securing your information across all your computers. Logging in on any site, from any device is a cinch with this extension. It is also fantastic when it comes with teams. It’s super simple to share a password with your staff or co-founders and it will automatically update the password locally for anybody else who has that same password. It’s great for small executive teams or working with freelancers but we use commonkey.com for organizational password sharing. 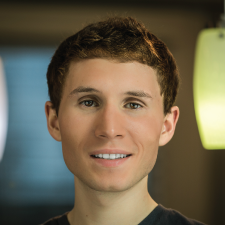 I actually met the founders of Grammarly at this year’s SXSW and it is a brilliant extension. It enhances the basic spell check inside Chrome with a vast database of spellings, grammar rules and even phrase constructions. It has greatly reduced the number of writing errors I make and I highly recommend it for anybody who writes a lot. They have a free and paid version. Even if you don’t pay the Free version has better spell-checking than the one built-in to Chrome. A simple idea, yet oddly rewarding. This is a chrome extension that simply modifies the new tab page with a different image, time and a quote. Each day has a different image and becomes a part of your work-day as you get to look at a beautiful image daily. Talk about a great way to motivate your employees and perhaps help make each day a little different. I’ve been using this extension for a while and I’m surprised it hasn’t been built-in to Gmail yet. It simply conducts an instant search of the person you’re emailing and provides a bunch of information about them from LinkedIn via a sidebar to the right. Distraction seems to be everyone’s problem these days. While waiting for a page to load, you might open up another site, like Mashable, or come across an interesting article on your Facebook feed. The article is long and you get sucked in, but you have to get back to work now. So what do you do? I used to find myself reading articles constantly and justifying the practice by telling myself that I’m learning something. I had a growing resentment about it, though; I knew I should be able to control it. Long story short, Pocket is a great way to keep distractions at bay. When you see an interesting article or video you can simply click the pocket button to save it. Then when you’re on break or have guilt-free time to spare, then you can go back and check it out. This solves FOMO and helps to keep you on track. My new favorite to-do program. 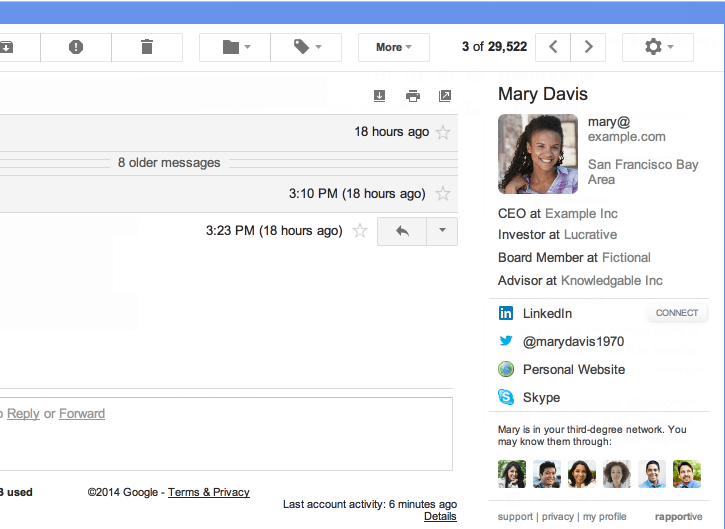 While I talked quite a bit about it in my last post here, their Chrome extension for Gmail is amazing. The interface is always the same no matter if you’re viewing it on Gmail, Mac, Windows or browser. My favorite feature is the button they insert above each email, allowing you to convert the email to a task. I explain why this is such an amazing feature in the post linked above. Another awesome program built-in to Gmail. This is basically an executive assistant for your inbox that allows you to have your email checked by a professional proofreader before being sent out. 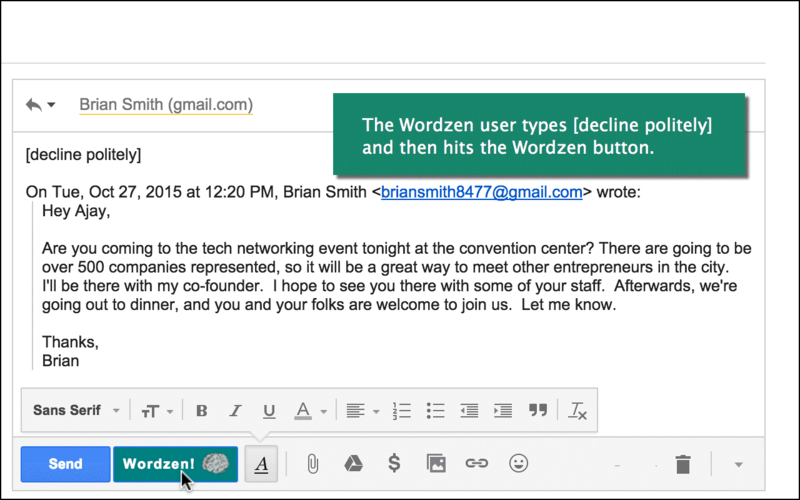 Instead of clicking send, you click the Wordzen button. The email gets sent to a proofreader who reviews and modifies the email per your request. They aim for a very direct but positive approach. It’s completely free right now, so try it out! 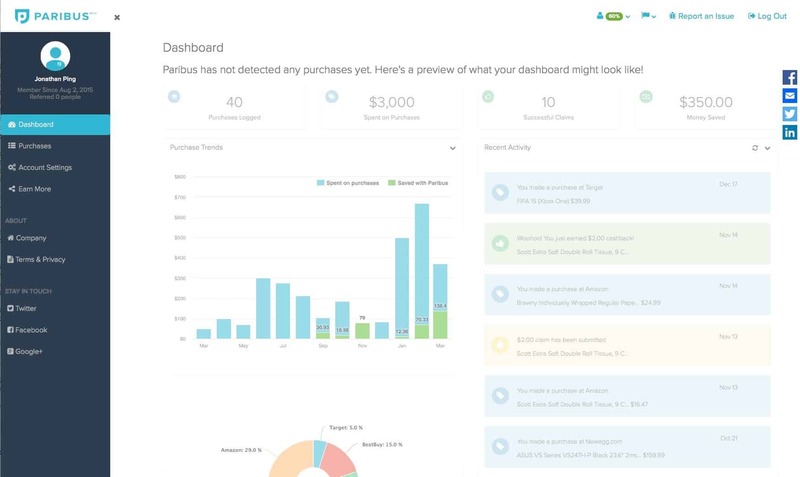 Paribus is a money-saving app. It works behind the scenes with your Amazon account. Paribus monitors the items you buy from Amazon and automatically requests a partial refund from Amazon in the event of a price drop. Surprisingly, this happens quite a bit and Paribus only takes a small percentage of the money it saves you. It technically isn’t a Chrome extension but it’s so awesome that I had to mention it anyway.